Backyard Makeover with waterfalls, tiki huts, outdoor kitchen & landscaping all enclosed within a new screen. 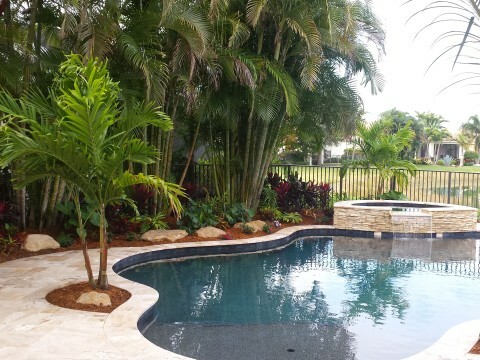 - Universal Landscape, Inc.
Backyard Makeover with waterfalls, tiki huts, outdoor kitchen & landscaping all enclosed within a new screen. 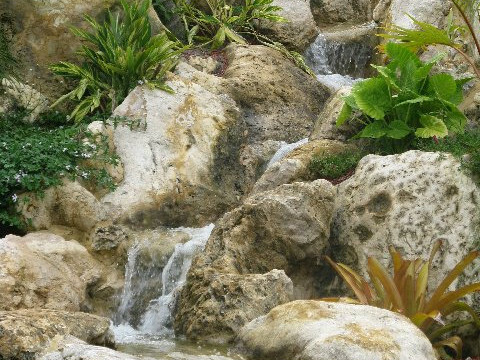 Backyard ‘Resort Style’ Makeover. 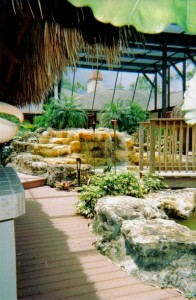 Included double sided real florida cap rock waterfall into a 40′ stream on one side with a cross over bridge. 2 Tiki Huts, 1 for a seating area, the other for an outdoor, fully equipped kitchen with fridge, sink, bar counters, ceiling fans & tv.. Included landscape, lighting & all within a new outdoor screen extending off of the back of the house and enclosing this new Retreat Area !